Show off your favorite picture every time you shop! As the weather begins to change and the colors of the leaves start to turn from green to orange, this is the perfect time to change the image on your debit and credit cards! What is important to you? Your family? Your pets? Why not show them off every time you shop with a WSB MyCard. 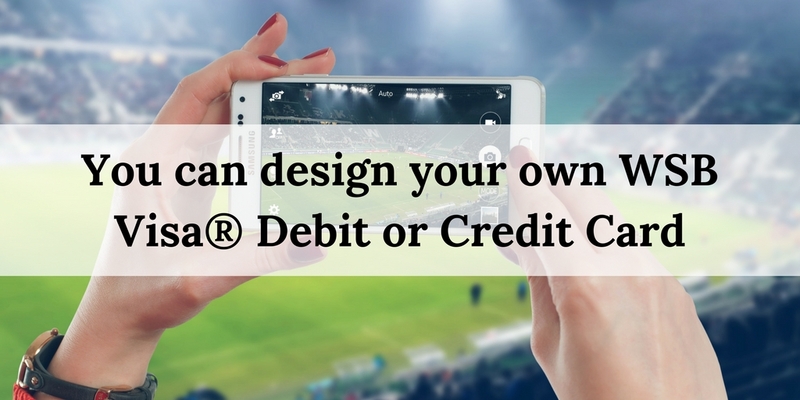 You can easily upload your favorite photo to appear on your debit and credit cards! With the MyCard program from West Suburban Bank, customizing your debit and credit card is easy and only costs $7.50. Do you have a football or soccer player in your family this season? Show them that you’re their number one fan by putting their picture on your card! Fall is about sports, family, and fun. Show off your interest on an item you take with you everywhere you go. Sorry we can’t accept any trademarked images but any personal image will work! Go to https://www.westsuburbanbank.com/mycard.php to get started and to learn more!